In FYR Macedonia there has been made an internal selection by the broadcaster MKRTV. The well-known singer Kaliopi was announced to represent the country in Stockholm again. She has been representing FYR Macedonia with “Crno I Belo” in Baku 2012 and made a 13th place. So MRKTV was thinking that this can be treated as a safe bank, as Kaliopi has been successful already. Kaliopi Bukle was born in Kiecevo, FYR Macedonia in 1966. As a child she has already won a local song contest. As a member of a choir she has been travelling all around Yugoslavia at that time and become popular. Her spouse Romeo Grill has also officiated as composer for Kaliopi’s songs. After two successful albums, Kaliopi decided to follow her solo career. In the year 1996 Kaliopi send her self-composed entry “Samo Ti” as the entry for FYR Macedonia. Unfortunately, the international committee out of 240 jurors did not nominee her for the ESC in that year. Kaliopi’s first solo album was called “Oboi Me”. Therefore she could win the pop contest Suncane Skale together with Naum Petreksi and the song “Rum Dum Dum”. Her biggest international appearance Kaliopi could have at the 2012 ESC in Baku with her song “Crno I Belo” and made a great 13th place. Over the years Kaliopi recorded eight albums. She is also announced as a charity ambassador of the UNHCR for refugees. The song “Dona” sounds like a Balkan schlager from the 90’s. The song is about the woman that protects us all. Kaliopi sings of thanks and praise for Dona. Even if Kaliopi is praised as the Diva from the Balkan, this song has nothing modern at all, and it’s not even catchy. 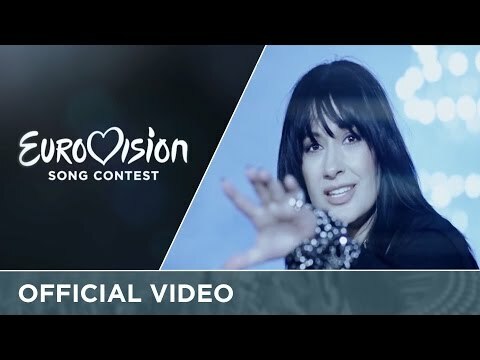 This entry cannot be compared with her last brilliant ESC entry “Crno I Belo”. There is an obvious overhang of women with mid-tempo songs this year. It will be very difficult for the lovely singer Kaliopi to stand out of the others. This year FYR Macedonia will have a hard job to qualify for the Grand Final. The Former Yugoslav Republic of Macedonia (FYROM) is participating for the 16th time this year in Stockholm. The debut entry “Ne Zori, Zoro” by Vlado Janevski in 1998 came 19th in the final in Birmingham. The former Yugoslavia took part 27 times and the debut was made in 1961. In the first years FYR Macedonia always qualified for the final. This was also due to the fact that the neighbour countries helped with their votes. But this has changed, since 2008 Macedonia did not make it to the final anymore, but lovely singer Kaliopi could change this in 2012. She was the first one to reach the final again with “Crno I Belo”, she even reached the 13th place in the final. The reason for the non-qualifying years had probably more to do with songs which were not preliminary made for an international audience and therefore did not met the European taste. There will be the second go for Kaliopi this year.